Delicious Caramel Coconut Cracker Toffee is a scrumptious treat you must try! 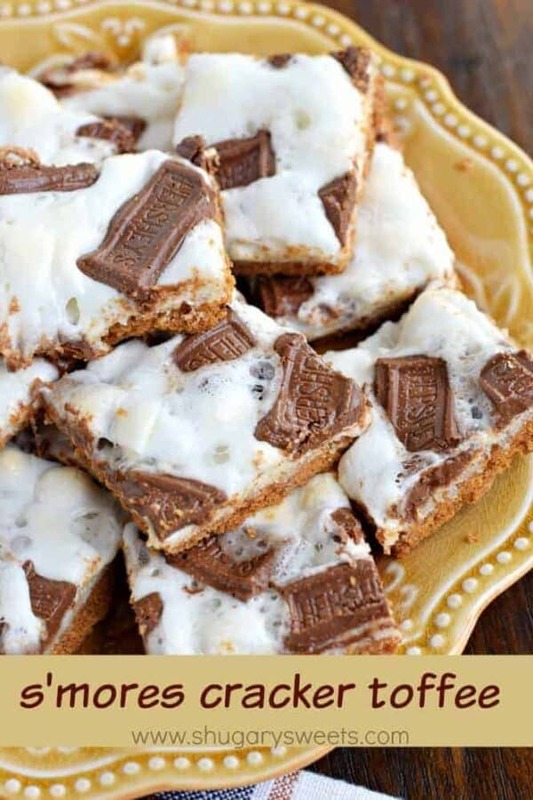 Transform those graham crackers into this decadent treat in just minutes! I have a new obsession. Well, it’s not NEW, I have always been obsessed with homemade candy. But right now I LOVE cracker toffee. Have you tried it yet? 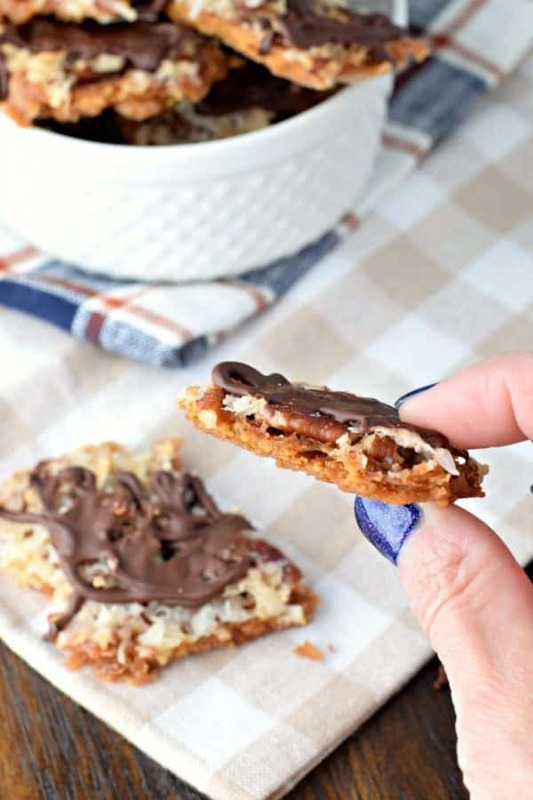 I’ve got recipes for Peanut Butter, Brickle Bars, S’mores, Saltine….and now today’s version: Chocolate Coconut Cracker Toffee. It’s no secret that I love Samoa Girl Scout Cookies. I even created a truffle earlier this year that tastes JUST like the cookie…but in candy form. This candy recipe today is inspired by those cookies. You’ve got caramel (toffee). Chocolate. Coconut. Crispy cookie (toffee). And I threw in some pecans, because, why not? Use a metal baking sheet for best results. You can line it with parchment paper, but I just lay my graham crackers right on the pan. Melt the butter and sugar in a small pan until it begins to boil. Once it boils, pour it over your graham crackers (on the pan). Sprinkle generously with your toppings: coconut and pecans. I use sweetened shredded coconut. It doesn’t toast up completely, instead it leaves a slightly chewy texture on top of the toffee. If you prefer to have toasted, feel free to toast your coconut FIRST (350 degree/10 minutes). Cook your toffee for about 15 minutes. It will be bubbly and caramelized. Allow it to sit in the pan for about 10-15 minutes, to soak up all the caramel. Using a large spatula, scoop big pieces onto a piece of parchment paper. It’s okay if they aren’t uniform pieces, you’re going to break them up into smaller sizes. Melt chocolate according to package and spread over toffee (the toffee can still be warm). 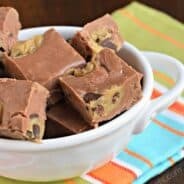 Allow toffee to harden and chocolate to set (about 30 minutes). ENJOY!! Check out some of my other favorite truffle and candy recipes! 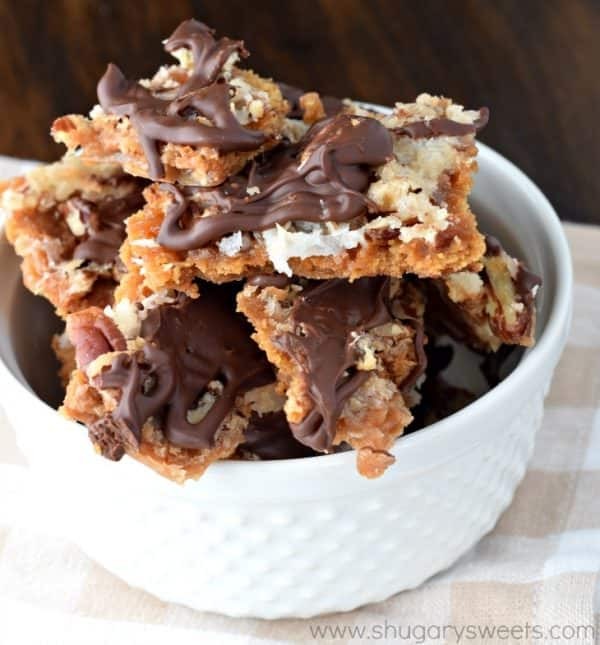 Be sure to stop over at Food Fanatic and print the Chocolate Coconut Cracker Toffee recipe! S’mores Cracker Toffee: chewy and crunchy, as it should be! 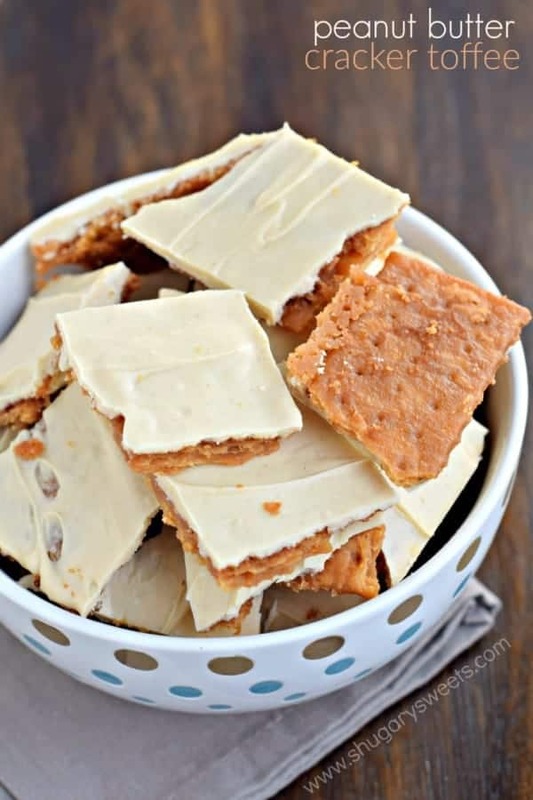 Peanut Butter Cracker Toffee: such an unexpected yet delicious flavor! 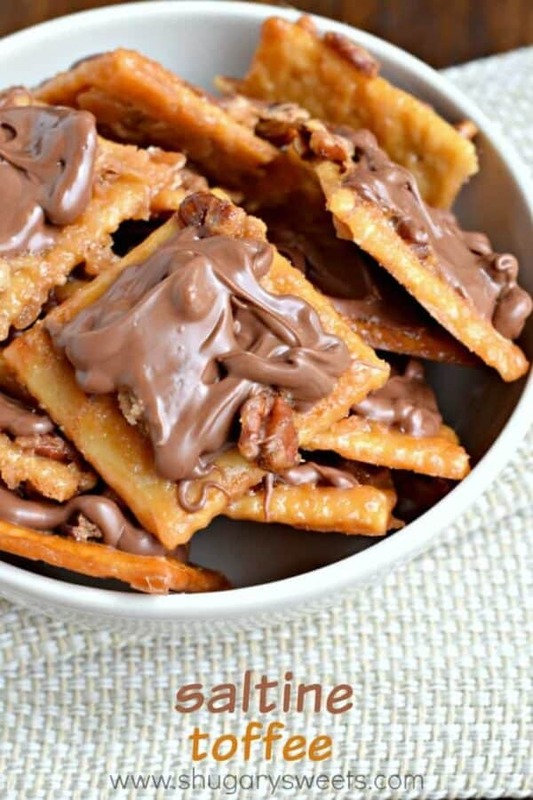 Saltine Toffee: the traditional, easy cracker toffee recipe! I cannot make this. If I do, I’ll eat an entire pan in one sitting. The PB one you made was SO out of this world! And now this one. You crazy, girl! Wow! These looks so decadent! *swoon* oh how I love toffee! All my favorite flavors in one treat! 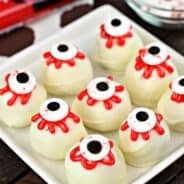 I am obsessed with toffee 🙂 Pinning! 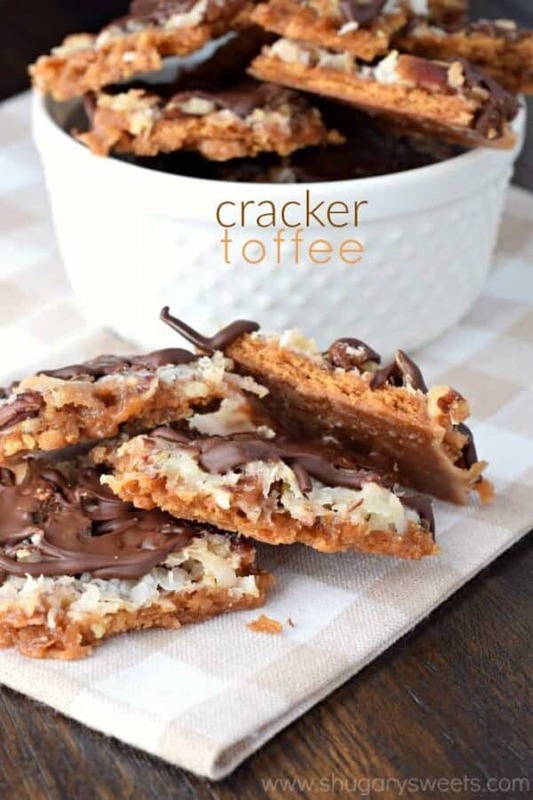 We love cracker toffee! This variation sounds amazing! OOOOH this looks absolutely addicting and all things wonderful!!!! 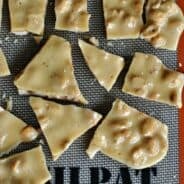 We made our own version of cracker toffee and discovered how easy and tasty it is. Your recipe is once we’ve got to try! Thanks!